Coal is an important resource of energy in China, and the conversion of coal to a wide range of chemicals has become increasingly important in recent years. Sinopec Zhongyuan Petrochemical Co., Ltd. (hereinafter referred to as "ZPC") is a large joint venture between China Petroleum & Chemical Corporation (hereinafter referred to as "Sinopec") and the government of Henan province. 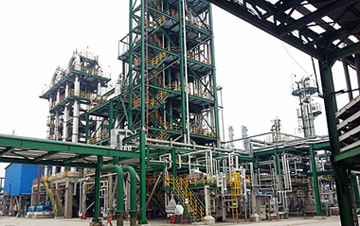 With significant support from its parent organizations, ZPC has built a new 600,000 t/y methanol to olefins (MTO) plant and a 100,000 t/y polypropylene plant, along with all the necessary utility and auxiliary facilities, in Puyang. These plants became operational in October 2011 and are of great strategic significance to the development of Sinopec's coal-chemical business. An MTO plant uses catalysts to convert coal-derived methanol into olefins such as ethylene and propylene. This MTO project uses Sinopec's proprietary S-MTO process, which is characterized by high olefin selectivity, high methanol conversion, and low catalyst consumption. To ensure safe and stable operations at this MTO plant, which handles materials that are highly flammable and explosive, delicate process control is required. 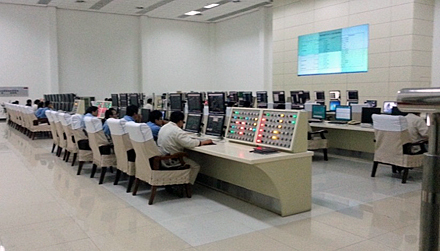 For this large-scale greenfield MTO plant, ZPC and Sinopec Engineering Inc. (an engineering, procurement and construction company referred to henceforth as "SEI") selected Yokogawa China Co., Ltd. as the main control system supplier. For this project, Yokogawa China delivered the CENTUM CS 3000 process control system (PCS) and the Plant Resource Manager (PRM) software package for plant asset management (PAM). Because the control logic for the S-MTO process is so complicated, the engineering work for this project was very complex and time consuming. Yokogawa engineers made good use of their deep knowledge and experience in the ethylene and coal chemical fields to expedite work on this project and deliver ahead of schedule very high quality work, which helped to ensure a successful and efficient commissioning and startup. ZPC, SEI, and Yokogawa all took a team approach and worked closely from start to end. Thanks to their good synergy, they were able to complete this project ahead of schedule. To ensure safety at these plants, ZPC needed to closely monitor and control its processes, especially those involving chemical reactions and heat exchange. For this S-MTO project, Yokogawa's PCS was integrated with a third-party safety instrument system, compressor control system, and online process analyzer system via Modbus, which allows operators at the human machine interface (HMI) stations in the central control room to monitor and control operations throughout the plant, ensuring that they can respond quickly when faced with an abnormal situation. Plant safety and stability are thus assured. The MTO plant has a large number of HART-enabled pressure transmitters, flowmeters, valves, and other devices from different suppliers. Having real-time diagnostics for these devices helps operators keep close track of their status and identify maintenance issues before a device fails. For central management of these devices, they are all integrated with the Yokogawa PCS via the PAM software package. 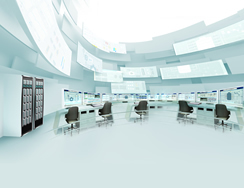 Using the HART protocol and the PCS network, the PAM system gathers all the device data and diagnostic information into a single database. If a device problem is identified, engineers are able to check the device in time and clarify the cause. This centralized asset management minimizes trips to the field and ensures a more proactive maintenance approach. During plant startup, this system also helped the engineers check all loops. The Director of the Instruments Department at ZPC points out the following three factors about this project: "First, Yokogawa's CENTUM CS 3000 has excellent reliability and stability. We particularly appreciate its online maintenance capability. Configuration changes are immediately shown on the HMI without interrupting the control function. This is important in completing startup in a short time and improving and optimizing process control. Second, this is an S-MTO pilot project using Sinopec's proprietary technology. During control engineering, Yokogawa's engineers showed that they have a deep understanding of control solutions and a lot of experience in dealing with complex problems. They made good use of their know-how from the petrochemical industry and, working together with engineers from ZPC and SEI, were able in a very short time to produce high quality engineering. Third, ZPC's personnel have considerable experience operating Yokogawa's CENTUM CS 3000 system, enabling the project partners to perform to the best of their abilities during the project implementation phase. At the same time, Yokogawa's engineers were fully involved in the control engineering, FAT, SAT, and startup. Above all, the key to the success of this short-term project was the good cooperation and teamwork of ZPC, SEI, and Yokogawa." Plant Resource Manager (PRM) is a key platform for the Yokogawa Asset Excellence initiative which aims to improve operations and maintenance and maximize the reliability and availability of plant assets by achieving greater predictability.